A backlink is a methodology that results in getting external pages of another site to point to your website. They may be links from a blog, affiliates, or any relevant source. Inbound links help search engines understand the popularity of a site and hence are important.Because each inbound link to a site results in a SEO boost for that website, the link enhances the rankings significantly. Bасklіnkѕ rеmаіn аn important Gооglе ranking fасtоr, but over thе уеаrѕ,Gооglе hаѕ lеаrnеd to weed out thе bad lіnkѕ frоm thе gооd.More links will ѕtіll rеѕult іn a hіghеr ѕсоrе, but оnlу іf thеу’rе frоm a numbеr оf dіvеrѕе аnd аuthоrіtаtіvе domains. Unfortunately, at one time, SEO experts misused the power of this factor and advocated using underhanded techniques to manipulate the SERPs, such as link farming ,which included many external sites pointing to a site that had no relevance to the page.In other words, links from hundreds of sites pointed to the target site just to boost the SEO rankings for that site. As a result, Google in particular cracked down on this behavior and introduced penalties, because these tactics defeat the purpose of users getting relevant and meaningful information in their search results. However, getting backlinks from other sites is a major ranking factor and is crucial to the SEO process of any site. Thus the new concept of follow and no-follow links was established. Follow links are considered by the search engines and result in higher page rankings.On the other hand, no-follow links are not considered valuable by Google and other search engines and so are of little consequence in getting a SEO boost.For example, the reference section in Wikipedia was used to promote personal sites,leading to irrelevant links. Therefore, Wikipedia assigned the no-follow method to the reference section to dissuade people from using the Wikipedia platform for black-hat techniques. But you need to remember that no-follow links are not worthless—if the backlinks are genuine and keep user intent in mind, they can still result in substantial traffic for a site, thereby opening up opportunities for boosting site rankings. If the links are useful,users will check out and recommend your site, resulting in effective traffic. Referral traffic is valuable, if you consider the user perspective. So, you cannot totally discount the effect of no-follow links when it comes to SEO implementation. Generally, SEO experts recommend a natural Backlink profile with a healthy balance of follow and no-follow links as well as domain authority for boosting your SEO process. 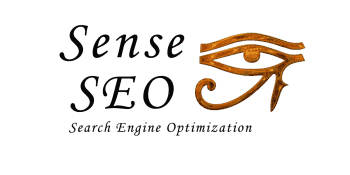 Thanks for reading my post on Backlinks For Website SEO Ranking.